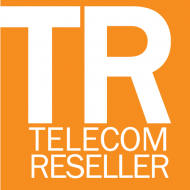 Telecom Reseller is your source for news, information and insight on Unified Communications, Cloud and Collaboration. We report extensively on enterprise grade cloud, mobility, Skype, WebRTC and on prem based solutions. Our eBulletins, podcasts, broadcasts, online and print editions reach over 40,000 qualified readers. For a free subscription visit http://telecomreseller.com/subscribe-form/. Connect your story with the channel, enterprise end user and carrier communities: Contact Carole Sangiorgio for a media kit carole@usernews.com and visit www.telecomreseller.com.